Like the death of a mountain, a friend tells Nisi. The shifting of tectonic plates, I think. The submergence of a continent. The world is changed always. Merely typing in the title of this post hurt. In the words of Nisi Shawl, "The great and grand and extraordinary Ursula K. Le Guin walks the Earth no more." Despite Ursula's recent frailness and shortness of stature, Nisi's words resonate with my own image of her as a robust giant bestriding the globe as though she were one of Eleanor Arnason's "Big Mamas." Obituaries are appearing today in newspapers around the world. How, I wonder, do those writing them decide which accomplishments, books, and honors to mention? Ursula K. Le Guin's legacy is tremendous and impossible, perhaps, to summarize. Many, many of us feel this loss in a deeply personal way because of the ways in which her work touched us, affecting how we saw the world and envisioned what we are and could ourselves become. Karen Joy Fowler, writing for the Washington Post, sums up the core of what Ursula's work has brought us: "Possibility and permission, these are the gifts Le Guin gave us. She inspired a generation of writers to unshackle from realism — a mode she once accused of centering the human undeservedly — in favor of her wide and generous vision." That wide and generous vision came to us thanks to the scope and depth of Ursula's moral imagination. Although I don't often talk about "great writers," I, as I suspect do most readers of this blog, hold always in my mind a personal pantheon of great writers, each of which differs so much from the others that I would be hard put to name a common quality their writings share--with the exception, that is, of exhibiting great moral imagination. I continually go to them to nourish whatever moral imagination I myself have. Moral imagination is one of the most valuable, rare, and necessary qualities in the world. We're feeling this with special acuteness now in 2018, at a time when the dominant figures in the public sphere in 2018 US have stripped themselves of moral imagination and are doing their damnedest to strip our public institutions of it, too. Ursula's public voice, which grew franker and more potent with every year she added to her age, was an inspiration to moral courage in the face of its absence among the most powerful. Though she no longer walks among us, we can--and must, I think-- still take inspiration from her work. We will miss Ursula's public voice, and we will miss the human being she was in all her wonderful particularity, which managed to include both playfulness and moral sternness, both self-respect and humility. But she leaves us with the consolation of an enormous body of great writing. The website devoted to her, http://www.ursulakleguin.com/UKL_info.html is a treasure trove spilling over with Ursula's biography, bibliography, photos, a list of her awards and honors, and much, much more about her. If you've never visited it, do so now. And of course continue reading and re-reading her work. It is more than likely that she has written about what you are feeling at this moment. 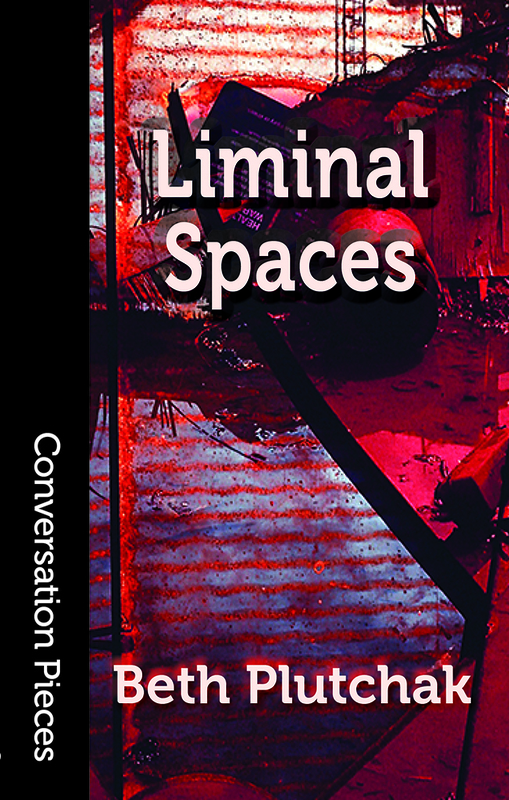 I'm pleased to announce the release of Liminal Spaces, a collection of short fiction by Beth Plutchak, as Volume 59 in Aqueduct's Conversation Pieces series, in both print and e-book editions. Eleanor Arnason and Richard Chwedyk have both praised it. "Yes, these stories are science fiction and fantasy, but they are deeply rooted in reality, especially in the lives of women. We learn about being in college in the 1960s, going back to nature in Alaska, working in a bank and trying to make a good life for a child with a disability. If there is a single theme, it's the struggle of women to control their lives—to be free. In addition to this often ordinary, gritty struggle of girls, wives, working women and mothers, the stories have time travel, space travel, game theory, clones, and magic. Grit and sense of wonder and (often) hope. What more could you ask for? I strongly recommend the collection." 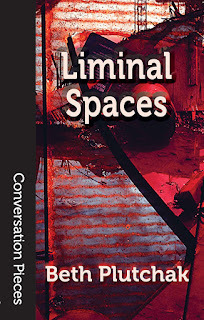 "What I like most about Beth's writing is her utter fearlessness. She will take on topics from hard sciences, to magic, to all the spaces in between, and make them new with confidence and proficiency, not to mention a spring-loaded wit. Even in the most fanciful stories here, one will find passion tempered with familiarity—worlds with recognizable edges and shapes, occupied by people we know. If you read short fiction to be captured by an intoxicating fusion of the mysterious and the immediate, you've come to the right place." —Richard J. Chwedyk, Nebula Award-winning author of "Bronte's Egg"
You can purchase a print or e-book edition of the book at http://www.aqueductpress.com. It will soon be available elsewhere. 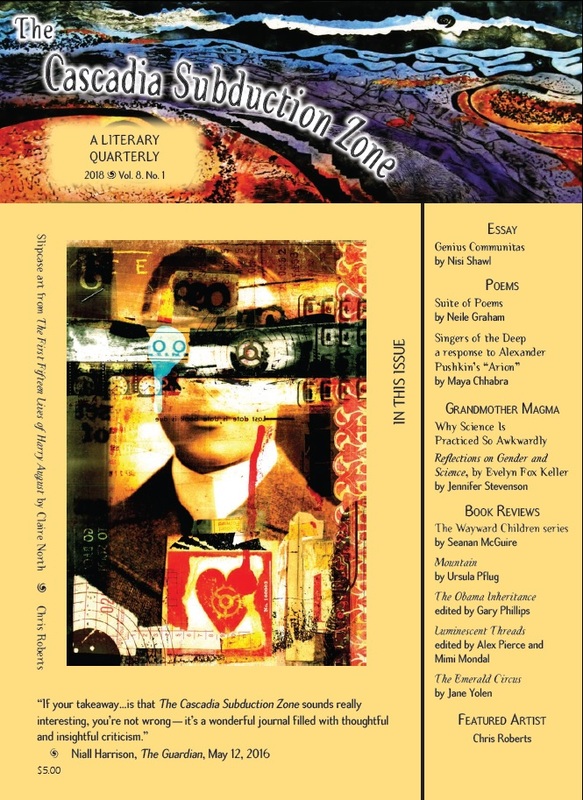 Aqueduct Press kicks off the new year with a new issue of The Cascadia Subduction Zone. This issue includes a speech by Nisi Shawl given last fall, poetry by Neile Graham and Maya Chhabra, a Grandmother Magma column by Jennifer Stevenson, and reviews of books by Seanan McGuire, Jane Yolen, Ursula Pflug, and others. The issue's art work and art essay is by Chris Roberts, who illustrated Claire North's novel The First Fifteen Lives of Harry August. You can purchase a single issue (electronic) for $3 or $5 (print) or a year's subscription for (electronic) $10 or (both print and electronic) $16 at http://thecsz.com/.